12AX7 / ECC83 / 5751 - Audio Tubes - Tubes - Transmitting, Audio, Misc. 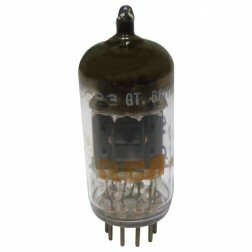 The 12AX7 is one of the most widely used double triodes in audio circuits. 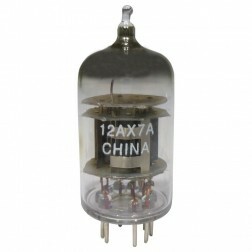 There are several variations of the 12AX7. In most cases, they can all substitute for each other. See chart below for all the variations. This later version can be used in series or parallel filament circuits. Many manufacturers produced plain 12AX7's well into the 60's and 70's, but I believe these are 12AX7A's marked 12AX7. This is the "hi fi" low noise version of the 12AX7. All other specifications are the same as 12AX7. Tubes marked with 12AX7 and 7025 both should be low noise, too. This is the "premium" version of the European 12AX7. The "S" on the ECC803S means "select" version. These are usually found on Telefunken brand tubes only. 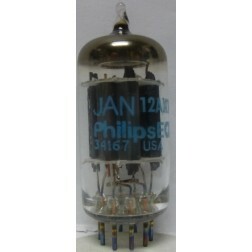 This is the "milspec" version of the 12AX7, but is also slightly different. 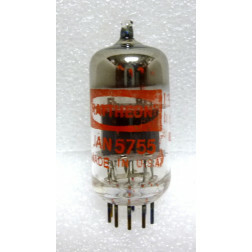 The 5751 has the same plate resistance as the 12AX7, but the gain factor is only 70 compared to 100 for the 12AX7. 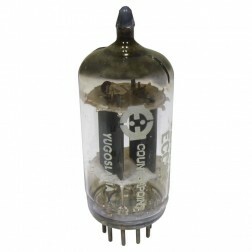 The 12AT7 also has a gain factor of 70, but since the plate resistance is different, the 5751 is closer to the 12AX7. The older "real" 5751's have extra thick mica spacers and extra support rods to minimize microphonic response. 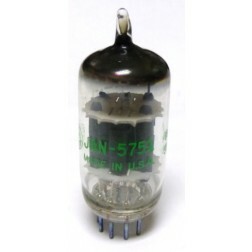 5751's also have matched triode units. Late versions produced by Philips/ECG don't have the extra support and don't perform as well as the older 5751's. 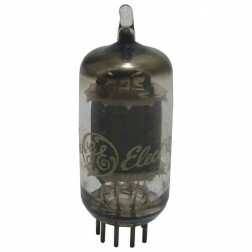 This is a special non-microphonic and low hum version of the 12AX7 that was produced only by Sylvania. This should make an excellent replacement for any audio application that uses the 12AX7 in the circuit. It isn't very well known because they were only made for a few short years as it was never designed into circuits by manufacturers. 12DT7, 12DM7, 12DF7 These are special low noise and microphonic versions of the 12AX7. Most are either Westinghouse (12DF7) or Raytheon 12DT7, 12DM7). 7729 Premium CBS Industrial tube with gold pins These were used in special critical applications which require reliable performance with low noise and microphonics. They're very rare. 7058 Same as 12AX7 except for a 13.5 volt non-tapped filament. These can be used in circuits which don't use the 6.3V filament tap. Performance should be identical to any equivalent 12AX7. 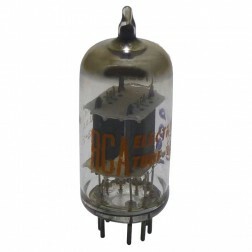 6681/12AX7A Tube High Mu Twin Triode. 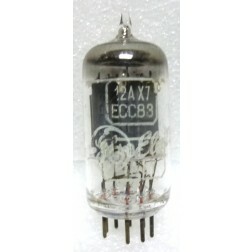 6681/12AX7A Tube, special purpose, High Mu Twin Triode.